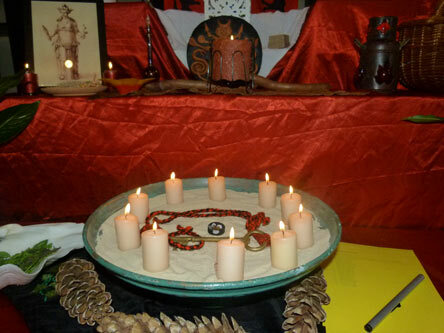 In the Sanctuary of Hekate Propylaia we worship the Goddess Hekate in all of her forms, with altars for the Ouranian/ Soteira, Chthonian, Einalian, Pharmakopeia and witchcraft aspects holding special places in our practices. We are working on building a space for shared knowledge and worship, for workshops, special rituals and community among Her devotees, online and in place. Meetings: The sanctuary organizes meetings such as workshops and rituals of mixed attendance in special occasions as Hekate’s night. We are always open to visitors.